In 2009, Marvel Comics created a crossover that left all of its characters—and fans—shaken to their cores. 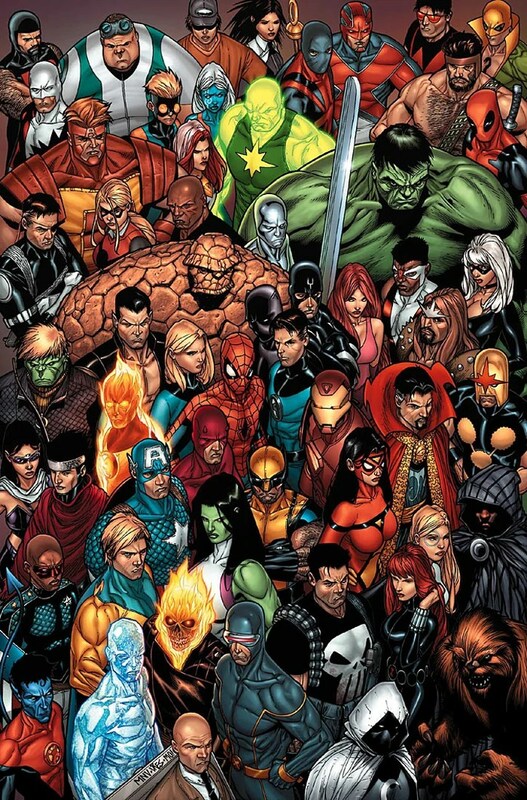 The seven-issue storyline was titled Civil War, written by Mark Millar and penciled by Steve McNiven. Departing from the usual hero-against-villain story arcs of comic books, Civil War provides fascinating perspectives into the struggle between public welfare and individual rights: is registration justified, or does it impinge on superhumans’ rights? The superhumans face off in the final battle. Photo taken here. Stamford, Connecticut. When the New Warriors, a group of young superheroes, attempted to boost the ratings for their reality TV show by apprehending a gang of supervillains, they got in way over their heads. A superpowered villain named Nitro escaped capture by blowing up several city blocks, including an elementary school. The devastating tragedy killed over 600 civilians, including sixty children. Popular opinion quickly turned against the superhuman community, with the general public crying for regulation of these superpowers. Thus, the US government passed the Superhuman Registration Act (SHRA), which requires all superhumans to register their identities, receive training, and work for the government. While many feel safer about the accountability the law will impose upon superhumans, the anti-registration sect rails against the discrimination and loss of liberty the SHRA entails. This created a schism in the superhero community between the supporters of the act and those who oppose it, who would eventually become the rebel movement. Tony Stark (Iron Man) heads the entire affair for registration, including apprehending and imprisoning superhumans who refuse to register. Together with fellow scientists Reed Richards (Mister Fantastic) and Hank Pym, he sought out ways to implement the new law, making enemies out of friends and allies who oppose the SHRA. This conflict tormented him, almost driving him to drinking again. Leading the opposition is Steve Rogers (Captain America), who became the first rebel after refusing to follow SHIELD’s directive to apprehend fellow superheroes. A brilliant tactician, Cap swiftly became the figurehead for the rebellion, recruiting an underground army that included Luke Cage and Daredevil. Both sides are equally determined to fight for what they believe in, which is precisely why I got emotional over this series: this is no black-and-white, good-guy-versus-bad-guy battle. It’s Avenger against Avenger standing their ground in a fierce battle of principles. But I thought you said all the characters were affected. Why are you only talking about Cap and Iron Man? Civil War is fantastic by itself, don’t get me wrong. But when you read it without the tie-in books, the events sometimes seem to appear out of nowhere. The tie-in books show each individual character’s motivations for supporting or opposing the act, and how their decisions affect their lives both as a superhuman and as a “normal” person. The tie-in books enhance CW in that they show more nuances towards the issue, and how it affects the entire Marvel universe outside of the Avengers. The X-Men, for example, show their solidarity and loyalty towards their own (mutants). The Wakandan king, Black Panther, and his new queen, Storm, get their hands dirty with international politics. Even the topic of war profiteering is explored as Wolverine hunts down Nitro—and finds a company that exploits the war for its own purposes. Civil War is one of the most thought-provoking pieces of fiction I have ever read. I still don’t know which side I’m on. Do you?